FENFAST 375 is one of a number of diet pill options produced in the USA by Intechra Health. The name “FENFAST 375” has somewhat of a familiar ring to it because it sounds very similar to the name of the much sought-after prescription-only medication, Phentermine. It also sounds a lot like one the best Phentermine substitute products ever to be created—PhenQ. Intechra Health say FENFAST 375 is an ideal alternative to prescription drugs and claim use of the tablets can help dieters to get to grips with even the most difficult aspects of weight loss. FENFAST 375 contains a proprietary blend of four key ingredients. Beta Phenylethylamine HCl: Beta Phenylethylamine is a compound that is naturally occurring in the human body, but can also be extracted from certain species of algae. It is often added to nootropic supplements because it can have a positive effect on the activity of neurotransmitters. Beta Phenylethylamine also stimulates the release of the feel-good hormone dopermine, which can be useful for improving the mood and also has an appetite suppressing effect. Caffeine Anhydrous: A white powder form of caffeine that is easily absorbed and gets to work fast. It is a very popular ingredient with diet pill manufacturers and can be found in numerous products. Caffeine can support the weight loss process in a number of ways. It’s a powerful stimulant that can boost energy levels and help ensure low-calorie living does not result in a low energy lifestyle. Caffeine also provides appetite suppression and further supports the weight loss process by triggering thermogenic fat burning. It’s ability to do this can be supported by a number of studies, including a double-blind placebo-controlled clinical trial conducted in Denmark. Hordenine HCl: A molecule that can be extracted from certain species of plant. Hordenine is a stimulant, so it can be useful for topping up energy levels. It is also often touted to be a fat burner, but very little research has been performed, so the potential benefits and pitfalls that may result from its use are very hard to predict. Hordenine usage also offers an unexpected downside because it may interact with drug testing kits and trigger a false positive for morphine. L-Theanine: An amino acid that can be sourced from certain teas. It has the ability to provide relaxation without causing sedation and is often used a stress reducer. Some studies suggests L-Theanine may help support weight loss and it is known to have a rejuvenating effect on the body. It is also often added to supplements that contain caffeine because it appears to be capable of supporting caffeine’s good points while also lessening the likelihood of caffeine-related side effects such as the jitters. How to Take FENFAST 375 – Two tablets are required twice per day and should be taken 30 minutes before meals. Tablets must be washed down with 8oz of water and should always be used in conjunction with diet and exercise. Tablets should never be taken within five hours of bedtime. A number of customers state the product failed to live up to their expectations, but infinitely more people praise it highly. However, many of the people who left positive reviews are very open about the fact they received a discount in exchange for sharing their opinion. The possibility of side effects is not mentioned in any of the marketing material, but pregnant or nursing mothers should always play it safe and refrain from using any brand of supplement that has not been approved by their doctor. The same Advice is offered to people who have existing health problems or are using medication or other supplements. FENFAST 375 is not backed by a money back guarantee. Costs $49 (£33.70) per bottle when purchased from the manufacturer’s website. It is also possible to buy FENFAST 375 via Amazon.com, but at the time of this review the Amazon price was slightly more expensive, so buying from the main site was the better way to go and bulk buy incentives were available to further sweeten the deal. We would suggest looking at PhenQ – a fat burner that is currently leading the way in many countries. 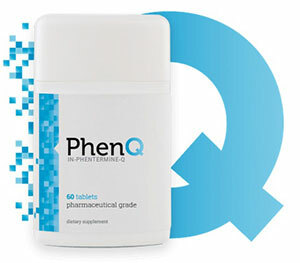 PhenQ is not only a highly proficient fat burner but can also help to stop the ontake of new fat and suppress appetite. PhenQ has a 60 (2 months) money back refund guarantee – it is scientifically researched and has been the subject of many positive reviews.